Life Outside of Science Outside of his work life, George spends his time watching soccer, reading books, and hiking and swimming with his wife. Through his research, George is trying to understand how the immune system interacts with oral bacteria. He is curious about why you see destruction of gums and the bone that supports the teeth in some people. They are also working on treatments to prevent gum disease called periodontists. Early on, George considered becoming a chemical engineer. He was interested in chemistry, but discovered chemical engineering was more about engineering than chemistry. When George looked into biology, he found it more interesting and exciting than pure chemistry. He studied dentistry in university, but was worried that dental practice would become too routine, and he wouldn’t have the excitement of constantly learning new things. This is what convinced him to get his PhD. Getting his first grant was a big challenge. George was totally absorbed in what he thought was really interesting science, and he didn’t think of the potential consequences, including losing his job, if he was not successful. He submitted this grant three times over a period of two years, and it was disappointing to see the rejections. He would give himself one day to feel bad about it and then come back to face a new day and a new opportunity. George’s lab recently had success preventing periodontitis in non-human primates, and they are excited to apply these findings to human clinical trials. They also recently developed the keystone pathogen hypothesis for peridontal disease. Rather than one species of bacteria causing periodontitis, this species actually transforms the oral bacteria community from benign to pathogenic. George has attended several international conferences on the Island of Crete in Greece. This island holds a special place in George’s heart with its unique culture and landscape, beautiful beaches, amazing archeological sites, and breathtaking mountains and gorges. He might be biased because his wife is from Crete as well! One of George’s graduate school experiments involved immunizing mice, and he noticed one of the mice was always getting beaten up by the other mice in the community. They had to put him in isolation and ended up keeping him as a lab pet and naming him Larry. Larry the mouse was soon after promoted to Sir Lawrence and moved into a spacious cage that was actually intended for rats. 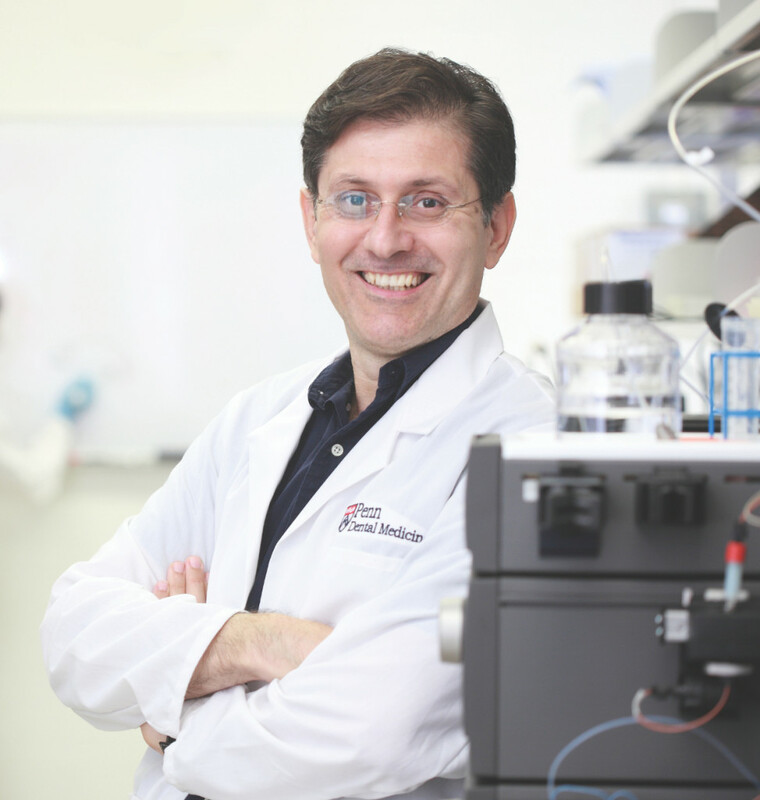 George’s research field of interest lies at the interface of microbial pathogenesis and immunity, and his work has illuminated novel mechanisms of microbial dysbiosis and inflammation. He further combines basic scientific and translational research, leading to innovative approaches to clinical problems, such as are exemplified by periodontal disease. His discoveries have led to several invention disclosures and patent applications. His research program is supported by the NIH/NIDCR and he has published over 120 papers. Dr. Hajishengallis’s studies have been published in prestigious journals of general scientific interest including Nature Immunology, Cell Host & Microbe, PNAS, Science Translational Medicine, Science Signaling, Nature Reviews Immunology, and Nature Reviews Microbiology, as well as leading disciplinary journals such as the Journal of Immunology and Journal of Dental Research.